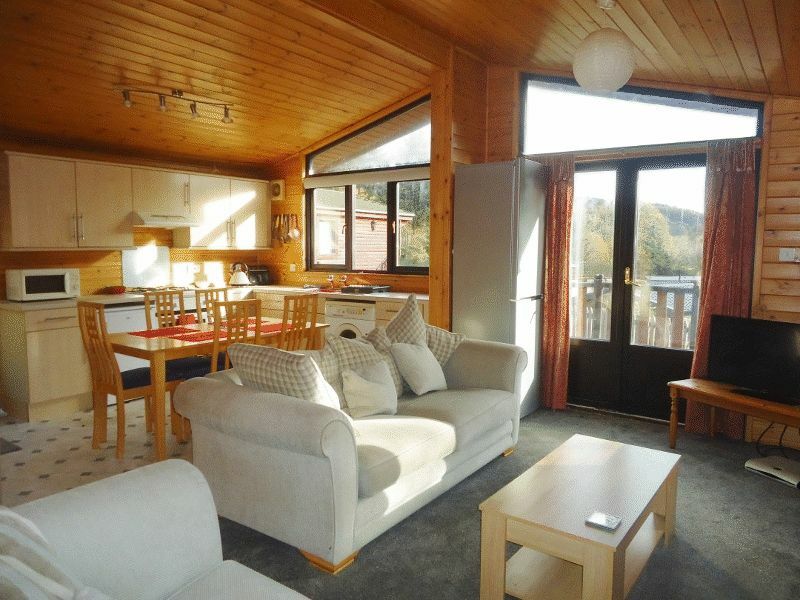 Luxury detached lodge set in idyllic countryside of Glendevon. 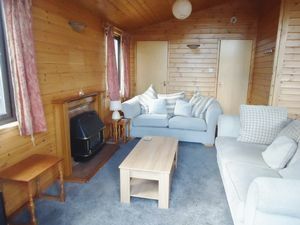 The lodge is offered fully furnished throughout. 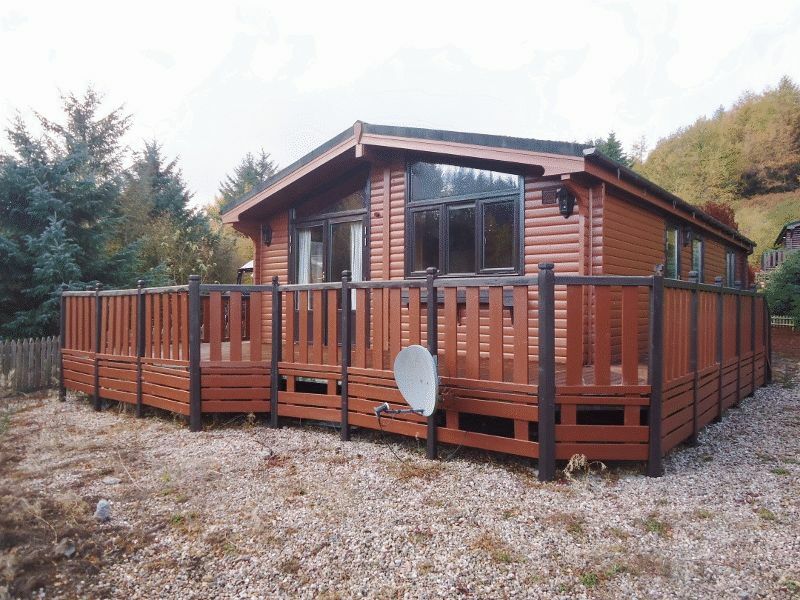 Ideal as a holiday home/ let and also suitable for year round residence. 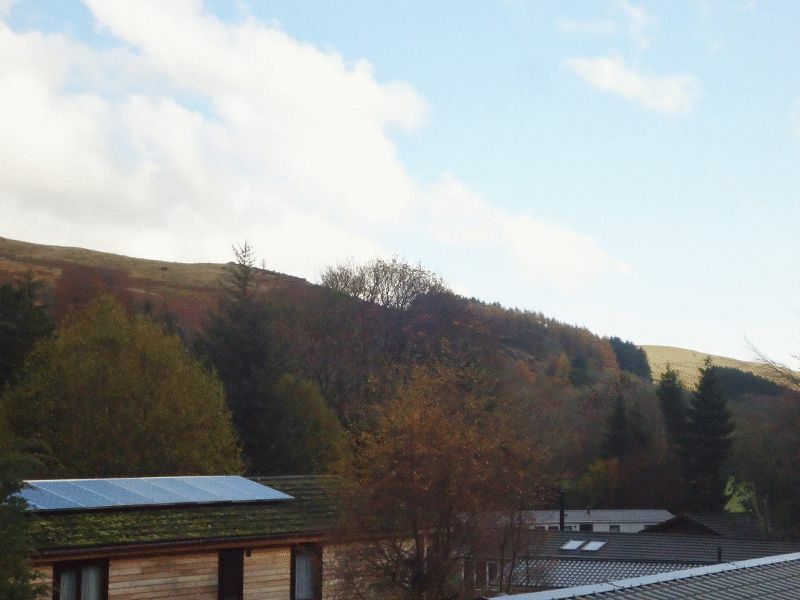 Glendevon is a picturesque glen located between the villages of Dollar and Auchterarder, offering breathtaking views of the surrounding mountains, hills and countryside. Situated close to the River Devon there are plenty of activities on your door step including scenic walks, hunting and a number of reservoirs including nearby Castlehill Reservoir which is stocked with Rainbow Trout for fishing. The Tormaukin Hotel, a country inn, is within walking distance for local drinks and meals. World renowned Gleneagles Hotel and Golf Course is situated approx 8 miles away with other places of interest close by including Castle Campbell, Gartmorn Dam, Perth Racecourse and Knockhill Racing Circuit to name but a few. The lodge offers spacious, contemporary living comprising; open plan lounge and fitted kitchen with integrated appliances. 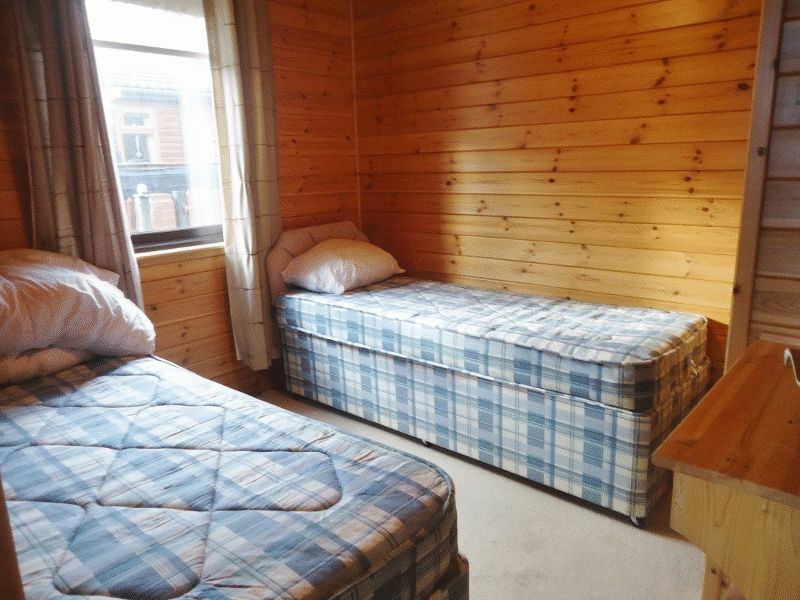 Three double bedrooms and a shower room. Externally the lodge has a decked veranda, garden area and driveway for up to two cars. The lodge has no ground rent as the property is freehold. Spacious and bright dining kitchen offering open plan living with fully fitted wall and base units, contrasting work surfaces incorporating a stainless steel sink with drainer. Automatic washing machine, under counter fridge, upright fridge freezer, integrated gas hob, electric oven and extractor hood above. Electric panel heater, four tier spot light fitment and ample power points. 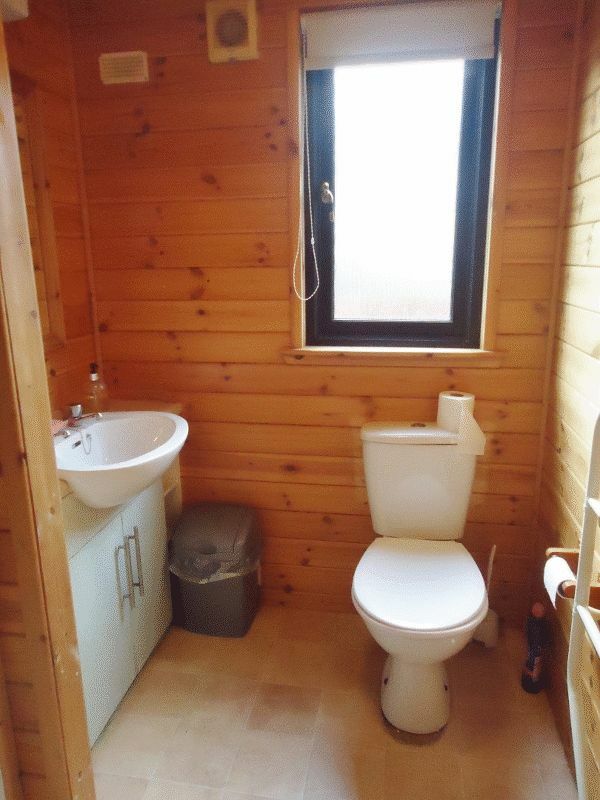 Large double glazed window with lovely views of the surrounding countryside. Open plan to lounge. Hallway with half dome light fitment, carpeted flooring and smoke detector. 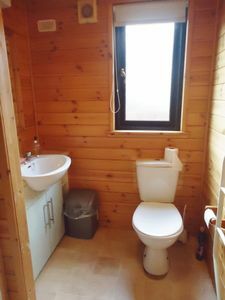 Access to shower room and three double bedrooms. Family shower room comprising of a white w.c., wash hand basin and shower cubicle with bi-fold doors and electric shower. Built-in under sink vanity unit, half dome light fitment, extractor fan, wall mounted heated towel rail and vinyl flooring. Double glazed opaque window to the side. Master bedroom with half dome light fitment, electric panel heater, two double power points, carpeted flooring and dressing table. Built-in double wardrobe with hanging space and sliding mirrored doors. Double glazed window overlooking the side of the lodge. 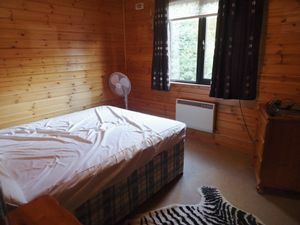 Twin room with half dome light fitment, electric panel heater, two double power points, carpeted flooring and dressing table. Built-in double wardrobes affording ample storage with shelving and hanging rail. Double glazed window overlooking the side of the lodge. 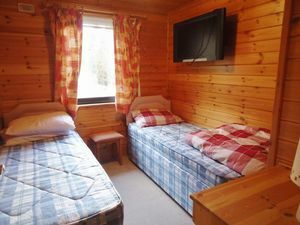 Twin room with half dome light fitment, electric panel heater, two double power points, carpeted flooring and dressing table. Built-in double wardrobe affording ample storage with shelving and hanging rail. Double glazed window overlooking the side of the lodge. The property benefits from electric heating and is double glazed throughout. 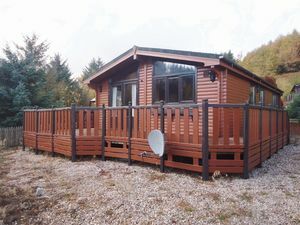 The garden is fully enclosed with a wooden fence and a decked veranda around three sides of the lodge with a picturesque view of the surrounding countryside. Additionally there is a lawn garden area to the front and a monoblocked pathway encircles the lodge. Also there is an outhouse for additional storage. There is a chipped driveway affording parking for up to two vehicles. 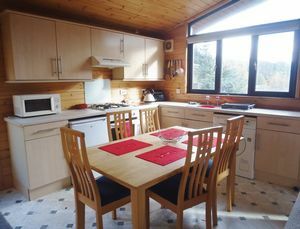 All fixtures, fittings, furniture items and furnishings are included in the sale of the lodge, as well as all appliances within the kitchen including; under counter fridge, fridge/freezer, gas hob, electric oven and extractor hood. There is no ground rent/site fees for this property as the property is owned on a freehold basis but there is a maintenance charge of £500.00 per year. On leaving Dollar via A91 road, travel through the villages of Muckhart and Pool of Muckhart. On reaching a fork on the road, bare left signposted for Glendevon. Continue along the road and through the village of Glendevon, passing the Tormaukin Hotel on the right hand side. Further along the road Glendevon Country Park is located on the right hand side and is clearly signposted.